Xiaomi-backed Yi Technologies is known for its budget-friendly action and digital cameras that can challenge the likes of GoPro. Having already established a base in China, the US and Europe, the company has now made its way to the Indian market. Yi Technologies has launched two of its action cameras in the country, the Yi Action Camera and Yi 4K Action Camera, both of which are available on Amazon for Rs. 6,990 and Rs. 17,990, respectively. It has also launched two security cameras, Yi Home IP Camera and Yi Dome IP Camera, priced at Rs. 2,990 and Rs. 4,990, respectively. The action cameras from the Xiaomi-backed company are priced a lot less compared to similar products from GoPro. The Yi Action camera features a 16-megapixel Sony IMX206 lens and an Amarelle A7LS image processing chipset. The camera has the ability to record 1080p videos at 60fps and includes Wi-Fi 802.11 b/g/n and Bluetooth 4.0 connectivity options. The Yi 4K Action Camera, as the name suggests, adds 4K capabilities, allowing it to shoot 4K videos at 30fps. It features a 2.19-inch display with Corning Gorilla Glass protection. It also features 12-megapixel f/2.8 Sony IMX377 sensor with EIS and 7P lens. It packs a 1,400mAh battery and supports Wi-Fi 802.11 b/g/n and Bluetooth 4.0. The Yi 4K+ action camera that was launched at CES 2017 earlier this year, and the the Yi M1 Mirrorless digital unveiled last year have yet to make it to the country. 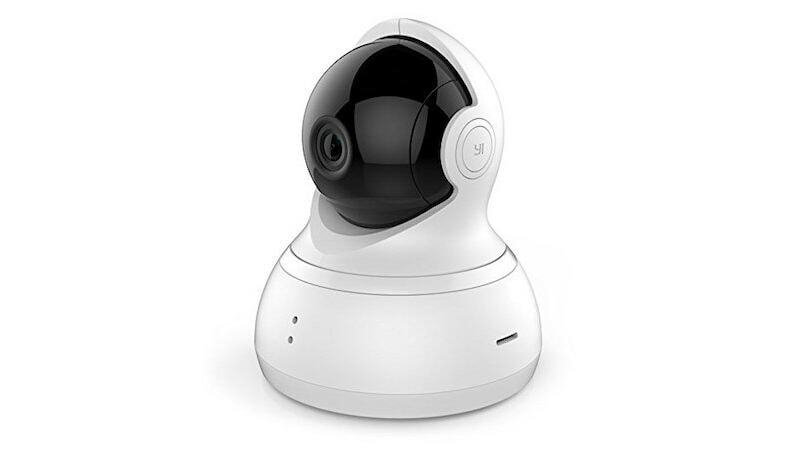 Moving on to the security cameras, the Yi Home Camera Wireless IP security surveillance system is among the cheapest of Yi products available in the country. Priced at Rs. 2,990, the security camera competes against the likes of D-Link and Nest. It features a 1-megapixel CMOS sensor with a 111-degree wide-angle lens, advanced night vision, high accuracy motion detection, and built-in microphone. The Yi Dome IP Camera comes with a bigger price tag of Rs. 4,990, which is supported by features such as 360-degree coverage, 10 seconds smart motion tracking, and built-in microphone. This is a direct challenger to the Nest Cam IQ that was unveiled in May, but is yet to launch in India.